This species is a nomadic bird, found in the coastal areas and islands of the Caribbean, from the south of Florida to the north of South America. 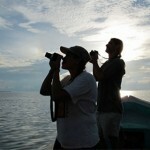 At Tranquilo Bay we see them during different times of the year, depending on the food availability on the different islands of the archipelago. A few days ago we had a big group of over 20 of them during an evening birding session. Brandon, one of our birding guests, got a very nice picture of this gorgeous bird. These birds’ diet is fruit based. They make their nest in the mangrove trees and normally lay two eggs. Florida Natural Areas Inventory. 2001. Field guide to the rare animals of Florida. 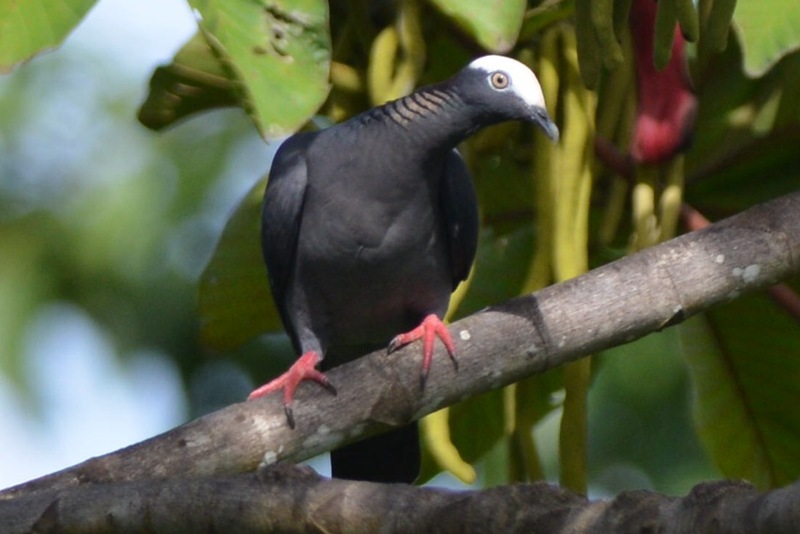 http://www.fnai.org/FieldGuide/pdf/Columba_leucocephala.PDF. This entry was posted in Birding, Photographs, Western Caribbean Slope, Wildlife and tagged White-crowned Pigeon by Natalia. Bookmark the permalink.